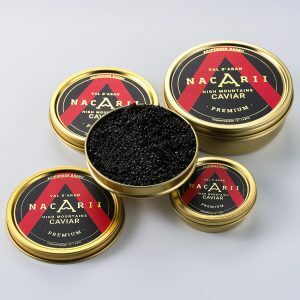 Fresh caviar, unpasteurized, that awakens all the senses. 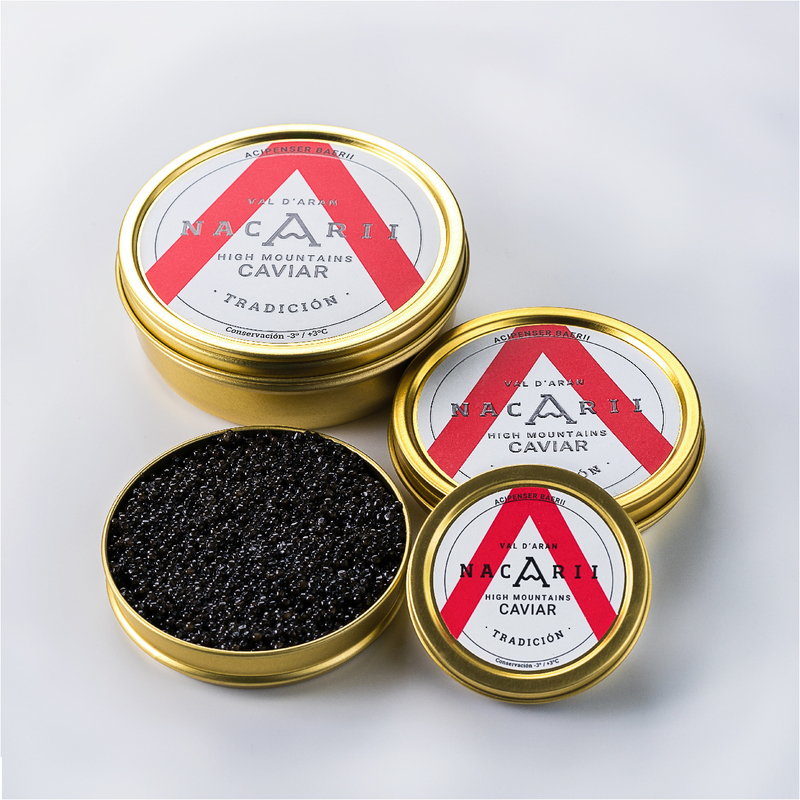 A high-quality caviar, with roe the size of a regular Siberian sturgeon 2.5–3 mm in diameter. 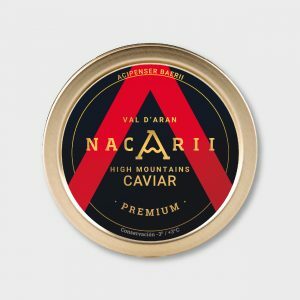 Sturgeon: Siberian sturgeon (Acipenser baerii). 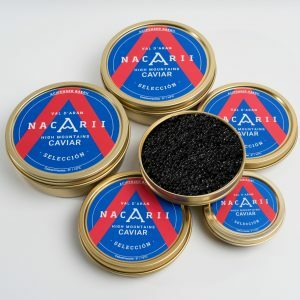 It is obtained through 2 extractions per year in spring and autumn, following the natural cycles of the female sturgeon. 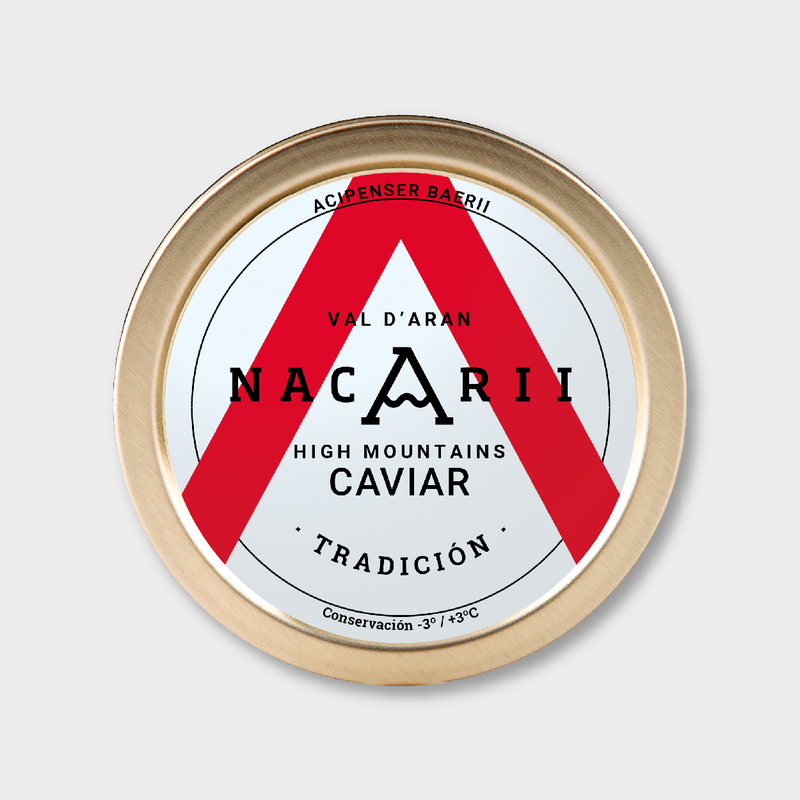 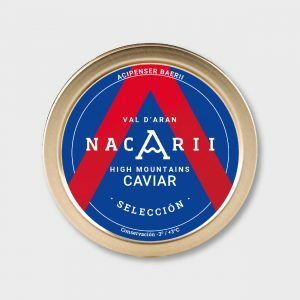 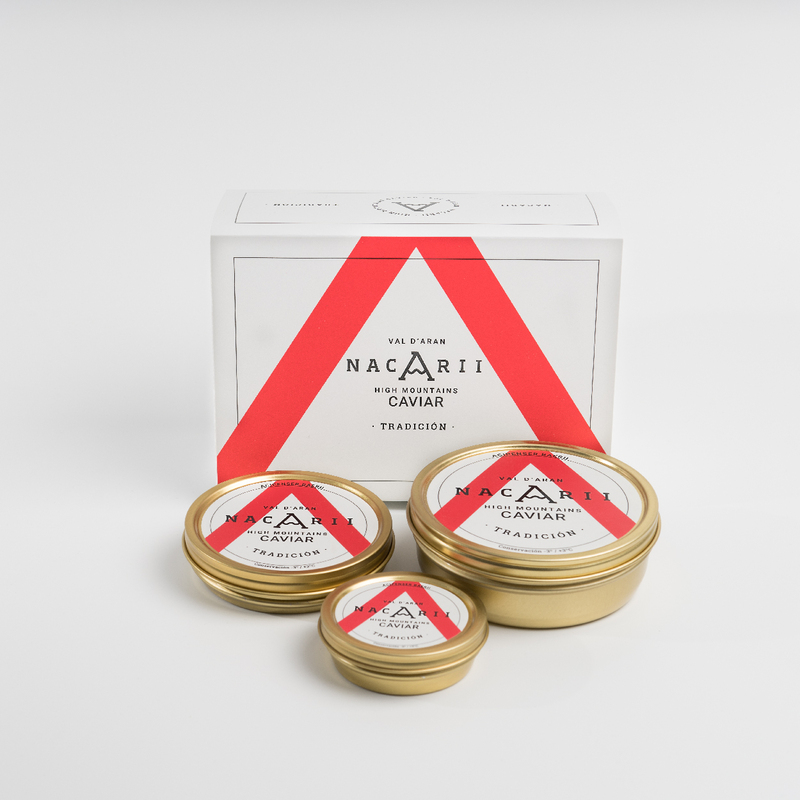 Fresh caviar, unpasteurized, that brings out the distinctive pure and transparent flavours of Caviar Nacarii.